If you're looking for a little more freedom to fully appreciate the amazing places to see and stay in West Wales then our touring facilities will be perfect for you. 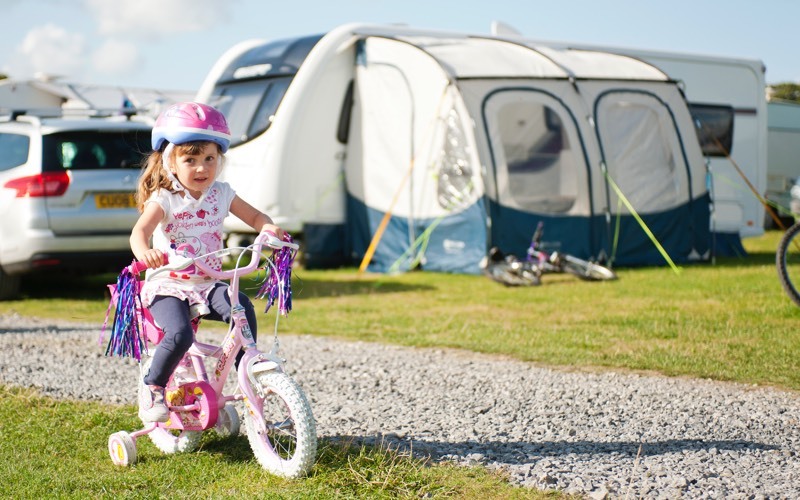 Whether you are looking for somewhere to park you touring caravan for a day, a week or the entire season, many of our holiday parks can accommodate you. You can enjoy all the facilities on the holiday park you choose- please visit our parks to see their features and facilities. We would ask that guests bringing vehicles that are 17ft or longer to please contact the office to confirm that we have a pitch of a suitable size available for you. If you are looking for more long term stay you’ll be interested to hear we have seasonal touring available from £1,400 per season. For more information contact us now. Here is the first tip. It is about planning for this or that. Make sure to check the facilities at the site you're looking to stay at, as they all vary. You can explore the different parks through the 'Our Parks' link in the main menu. Most of our parks have laundrette facilities, but we do advise that you bring your own detergent if you're staying for a while. Please tick here if you would like us to contact you with information about our holidays, products and services which we feel may be of interest to you. We're a family-run group, and our staff are renowned for being super friendly and helpful. If you book your holiday today, you only have to pay a £100 deposit, and pay the rest 28 days before arrival. We strive to ensure that all our caravans are well maintained, clean, and safe. Vale are a family-owned business. Learn about us. Got a question you can’t find the answer to? Why not check out our FAQs or get in touch.